Come see us at Texas Ink & Art Expo this weekend! 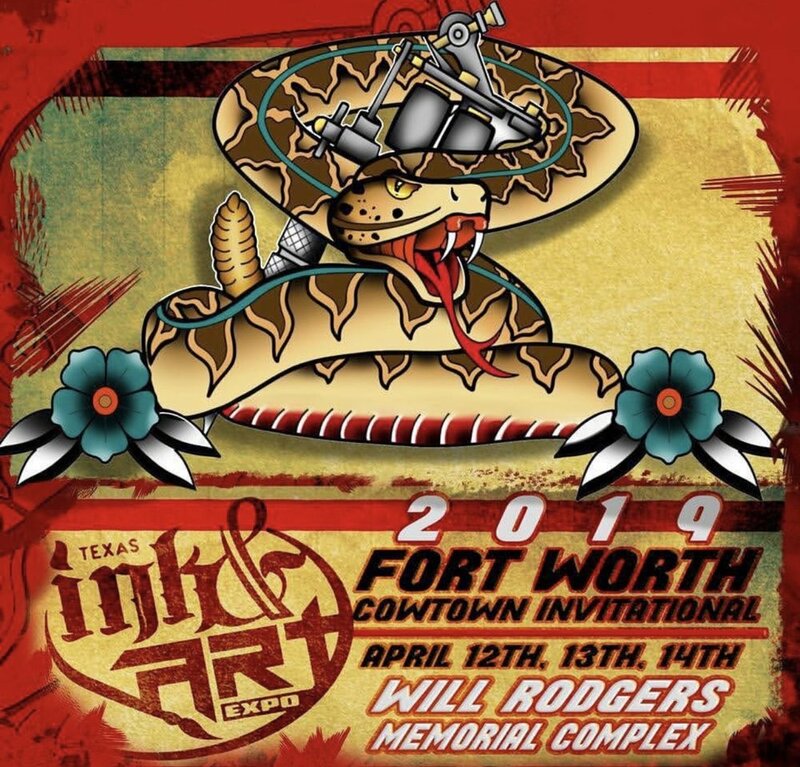 Fade to Black Tattoo will be attending this years Texas Ink & Art Expo this coming weekend at Will Rogers Memorial Complex! Come by fri-sun and check out all of the amazing tattooers. Bring a canned good for Tarrant Food Bank and you’ll get $5 off your ticket at the door! Welcome to our new and updated website! We have worked very hard to get everything updated and streamlined to provide a smooth tattoo booking experience! We hope you get the chance to browse our artist's portfolios and check back every now and then to see what we're up to. Any events and happenin's will be posted here! Thank you to all of our amazing clientele who have and continue to support us! You all mean the world to us, and we can't wait to provide the best service possible to our DFW community!